A lot of people will narrow their eyebrows when they hear the phrase “chemical dependency.” What does it mean? Is it similar to drug abuse or substance use? What is it exactly? According to the Johns Hopkins Medicine website, chemical dependency is similar to substance abuse. Actually, the medical term for such condition or disorder is substance abuse. So, yes, it is a mental health issue, and both names are interchangeable. Chemical dependency is when a person or individual uses substances, drugs, or chemicals in an unusual pattern which can cause problems and misery. People with this issue will display lousy behavior like cutting school or being absent from work or will be daring enough to act in public like drive a vehicle while under the influence of alcohol or drug, in a continuous manner. This behavior is unacceptable because it can create legal difficulties and troubles with family and friends. A person is a chemical dependent if he is using and abusing illicit substances like marijuana, heroin, cocaine, or crystal meth. It can also be an abuse of other chemical substances like alcoholic drinks, medical drugs, and cigarettes. 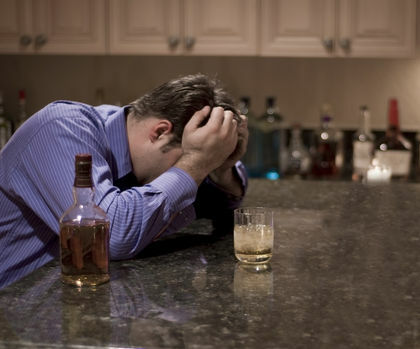 The most common of all substances that people are most likely to get addicted to is alcohol. There is a tolerance to the substance, drug, or chemical and an increase of usage is needed to influence the individual. A feeling of withdrawal happens to the person when the substance, drug, or chemical is decreased or eliminated entirely. You will do anything and everything just to procure these substances, drugs, and chemicals that you are dependent on and that means even if you will lie and steal just to get it, you will do such. The tendency is that the person will socially withdraw from everyone. He will also lose interest in activities that he used to enjoy. You will still use it despite repeated reminders from loved ones on the harmful effects of such substance, drug, and chemical dependency. Laws of the land, depending on what country you are in, determine what is legal and illegal concerning substances, drugs, and chemicals. Now, as for the causes, factors on why people become chemically dependent may include genetic susceptibility, environmental issues, peer pressure, personal traits and characteristics, and mental health concerns. People can have one or more of these factors innate in him which attributes to his chemical dependency. The recovery program created by chemical dependency counselors in collaboration with psychiatrists and medical doctors are necessary to ensure total healing. For certain, there will be a detox plan, group counseling and meetings, family counseling, and individual therapy.